Public utility districts are not-for-profit, community-owned utilities. 28 PUDs serve customers across Washington. PUDs provide electric, water, sewer and wholesale telecommunications services. PUDs are governed by locally-elected Commissioners that live in the communities they serve. Washington voters established the right to form public utility districts in 1930 when they passed Initiative No. 1. "The harness of waterfalls is the most economical method known for drawing energy from the sun." 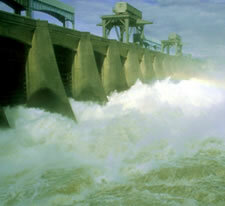 Public Utility Districts in Washington get nearly 82% of their energy from hydropower, which is reliable, renewable and produces almost zero greenhouse gas emissions. 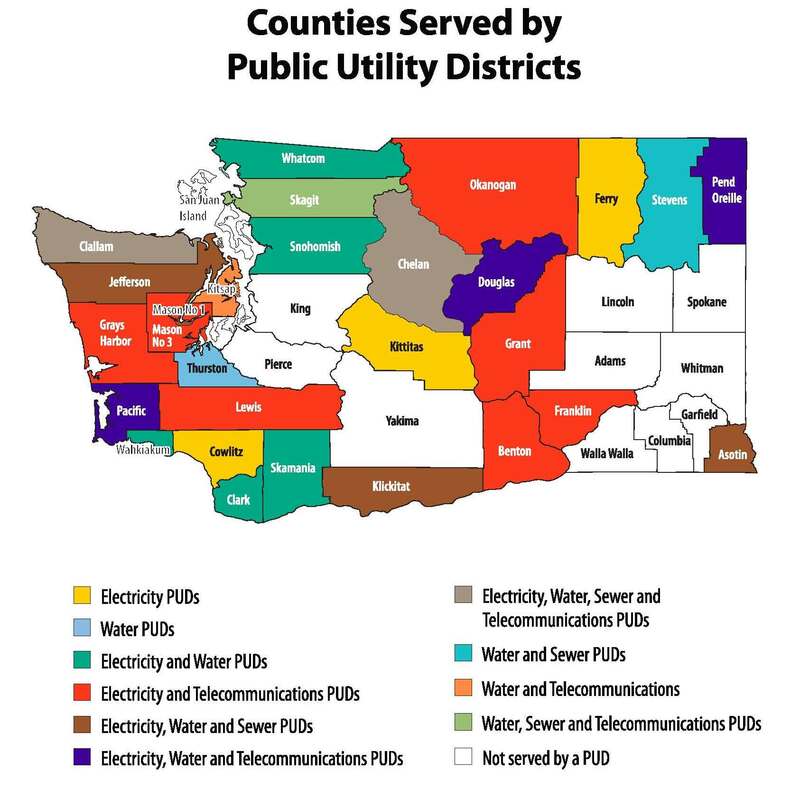 The Washington Public Utility Districts Association represents 27 not for profit, community-owned utilities that provide electricity, water and wastewater services, and wholesale telecommunications. 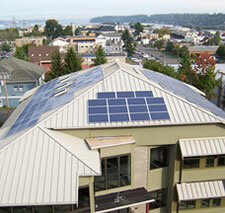 In October 2007, WPUDA moved into its new headquarters in Olympia, the first new-construction office building in the state to receive “platinum” designation under the U.S. Green Building Council’s Leadership in Energy and Environmental Design program. Public Utility Districts are are nonprofit, locally regulated utilities that are created by a vote of the people. They were authorized in 1930 by a voter-approved initiative. 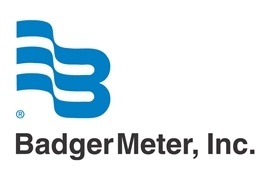 Their charter under state law is to “conserve the water and power resources of the State of Washington for the benefit of the people thereof, and to supply public utility service, including water and electricity for all uses." 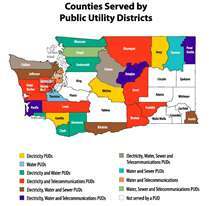 Washington public utility districts serve customers with some of the cleanest and most affordable electricity in the nation. Almost 90% of PUDs' electricity generating resources produce ZERO greenhouse gases. In addition, PUDs have a long history of promoting conservation as a least-cost, environmentally friendly resource. Public Utility Districts are not-for-profit, locally regulated utilities that are created by a vote of the people. They were authorized in 1930 by a voter-approved initiative. Their charter under state law is to “conserve the water and power resources of the State of Washington for the benefit of the people thereof, and to supply public utility service, including water and electricity for all uses."